You would have thought the British government would have learned their lesson on appeasement, but apparently not. It has only been a few short years since the end of WWII, but the new Labour government is determined to avoid embarrassing the Soviets. The last thing they want to do is open a formal inquiry into the 1940 mass murder of 22,000 Polish prisoners of war, police officers, community leaders, and clergy in the Katyn Forest. 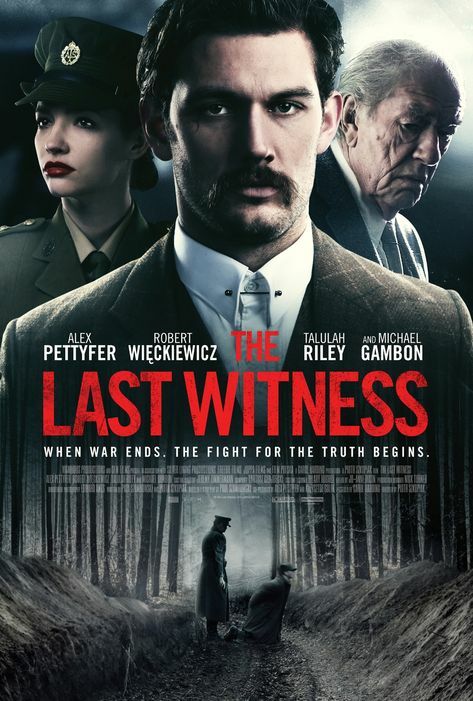 However, a disillusioned journalist will try to force their hand when he discovers a fugitive dissident who saw enough to set the historical record straight in Piotr Szkopiak’s The Last Witness (trailer here), which releases today on VOD. Stephen Underwood did not serve in the war, due to a childhood injury that left him blind in one eye. His brother John rose up through the ranks, becoming a captain, but he still feels guilty, because he caused the accident. Captain Underwood is assigned to a Polish displaced person’s camp. The mood there is quite bad, since the British government no longer recognizes the Polish government in exile. Despite the respect accorded to Col. Janusz Pietrowski of the Polish Home Army, the British government would much prefer to see the Polish asylum seekers return home, where they would surely be imprisoned or worse. This is especially true of Mason Mitchell, a young, fast-tracked British Home Office official. Underwood does not think very much of him. The reporter happens to be engaged in an affair with his wife, Jeanette, who is also serving at the Polish camp. Her husband does not much care about such things, but he would never divorce her, for social and professional reasons. One day, Underwood spies a Russian trying to pass for a Polish refugee. Intrigued, he discovers that man was a farmer outside of Smolensk, who witnessed uniformed Polish soldiers executed by NKVD and Russian military personnel, rather than the Germans, as the Soviets claimed until 2010. Unfortunately, his interest also draws the attention of Soviet agents. Szkopiak’s film strictly focuses on the cover-up rather than the war crime, unlike Andrzej Wajda’s Katyn, which encompasses both. However, it is important to keep in mind both filmmakers had direct connections to the massacre. Wajda’s father was murdered by the Soviets, whereas for Szkopiak, it was his grandfather. Arguably, Katyn was Wajda’s final masterwork, whereas Last Witness is essentially a dark but largely conventional thriller. Yet, Szkopiak’s screenplay, co-written with Paul Szambowski, is bursting at the seams with fascinating political nuggets that are true to the historical record. The so-called “O’Malley Report” really exists and the British government most definitely did its best to suppress it. Even more provocative are the hints that Mr. Mitchell is perhaps a contemporary of the Cambridge Five and their treasonous ilk. Frankly, there are aspects of this film that will be too smart for some viewers and too honest for others. 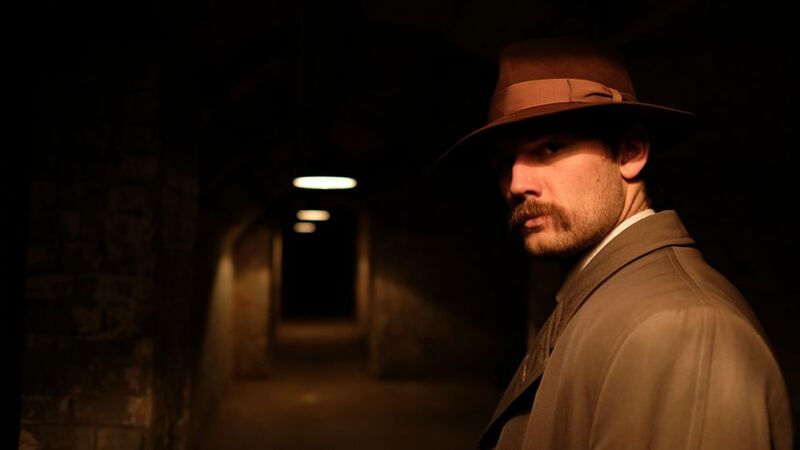 Alex Pettyfer’s performance as the civilian Underwood is grimly reserved and tightly disciplined. It is impressive in its way, but it probably would have better served the film in a supporting role rather than the primary lead. Henry Lloyd-Hughes makes Mitchell unambiguously slimy, while keeping viewers guessing on several other points. Will Thorp gives the film steely gravitas as Col. Pietrowski (perhaps his best work to date), while Robert Wieckiewicz is terrific as the man who knew too much (a more complicated role than one might assume). Periodically, we give lip service to the truth as a higher ideal when it helps grind our political axes, but too often, the commitment is disingenuous and short-lived. Katyn is a case in point. Putin is doing his best to walk back the Russian government’s official declaration of guilt, to the complete disinterest of our factionalized media. This is therefore a timely and much needed film in many ways, but it also functions as a gripping (and galling) historical thriller. Highly recommended, The Last Witness launches today (5/29) on VOD platforms, including iTunes, and releases next Tuesday (6/5) on DVD.